I started this website for a number of reasons. One of these reasons is my love for SAAB and especially the last 9-5. Since there are roughly only 10.000 produced, we have directly the reason why I have chosen for English. But it is not only SAAB, since Scandinavia is also a great place to spent holidays. We have been several times to Scandinavia and everytime it feels like coming home. So you will also gonna find articles about trips and places in Scandinavia. 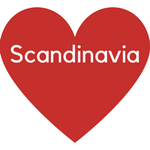 As well as Scandinavian design, furniture and more as long there is huge link to Scandinavia. My name is Maarten van Breederoode. We live in the east part of The Netherlands. Our family exists of five people. My wife is a textwriter and she has her own blog. She writes also about Scandinavia. And she writes about eastern Europe. Her blog in Dutch can be found here stralendschrijven.nl. Together we have three kids. In the first paragraph I mentioned the reason why I started this website. But it takes a lot of time to create a post. So why do I want to continue. Well to start with as a kid I already had this strong feeling that I wanted to create something digital that other people wanted to buy like a database full of knowledge of a subject. So with a website I have this opportunity and lots of people would be able to find it. But that doesn’t bring me any money. Therefor I am using affiliate links, which give me small amount of money if you buy something through my link. So it an exchange between you and me. I share my knowledge which you hopefully really can use and enjoy. And I hope to get some money for that.